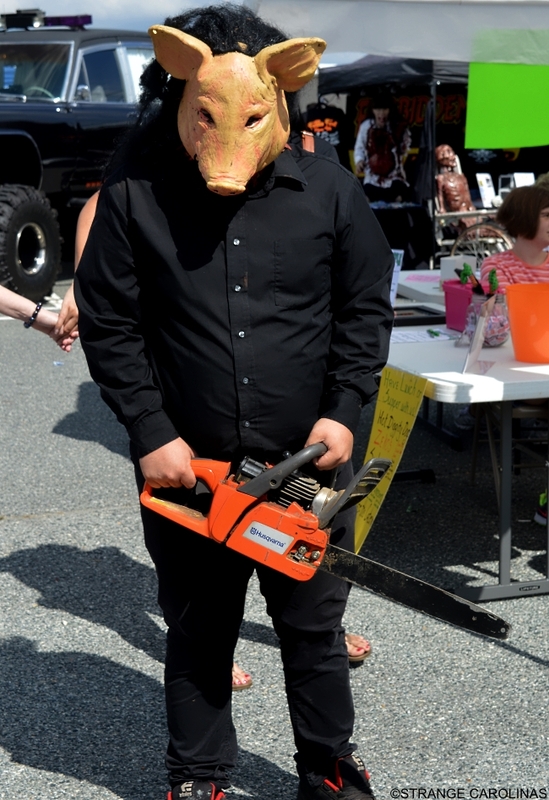 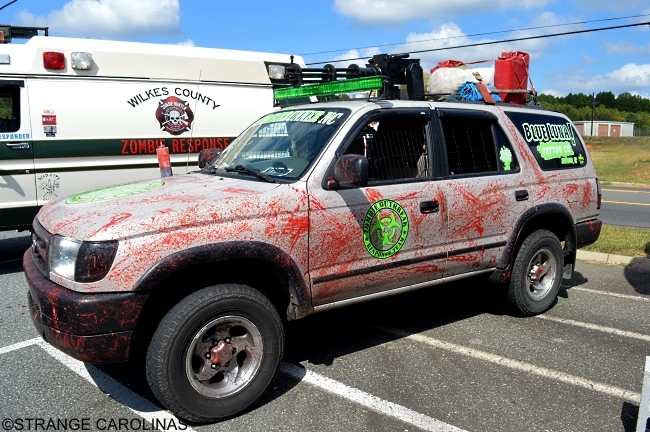 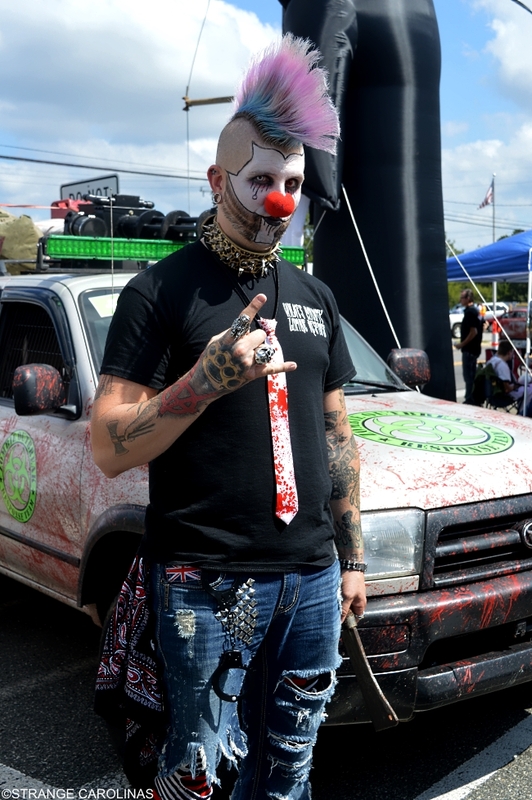 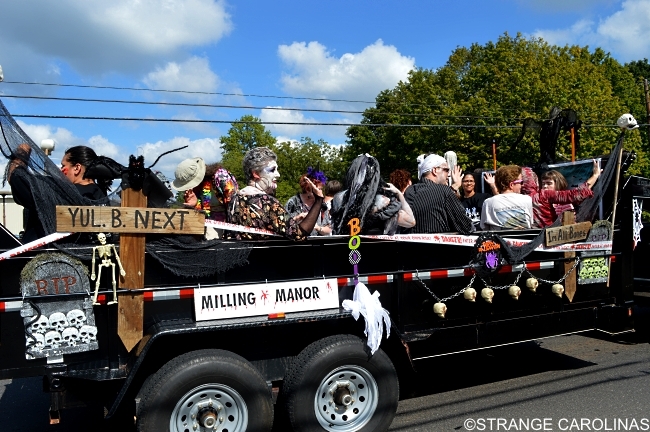 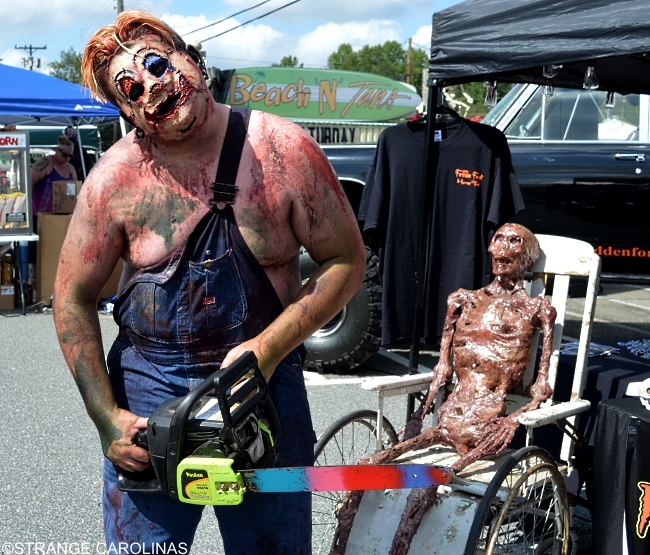 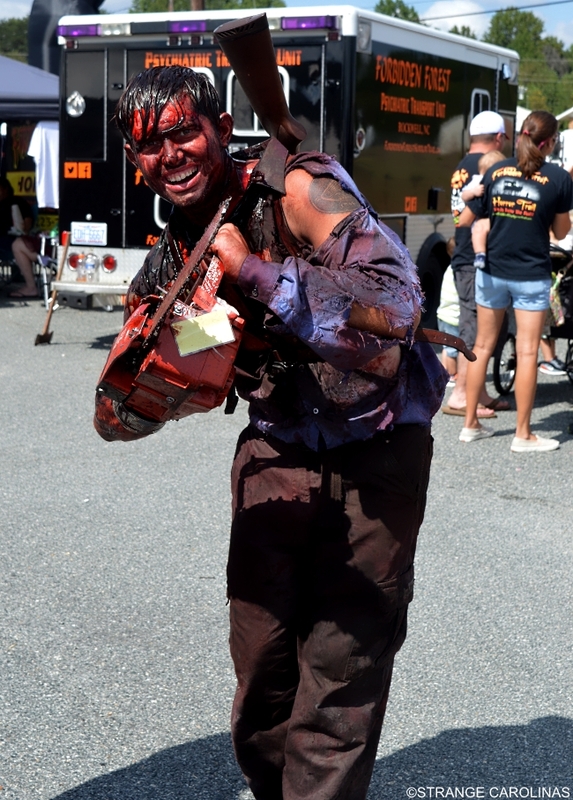 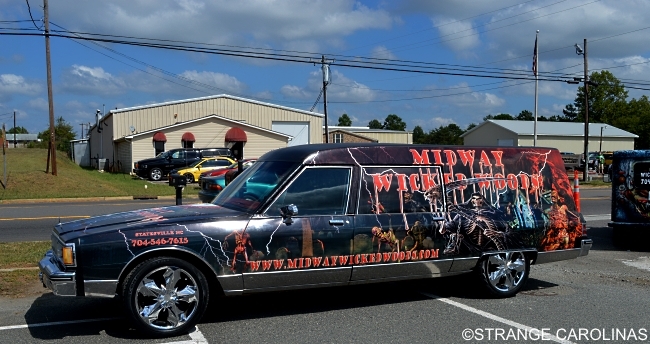 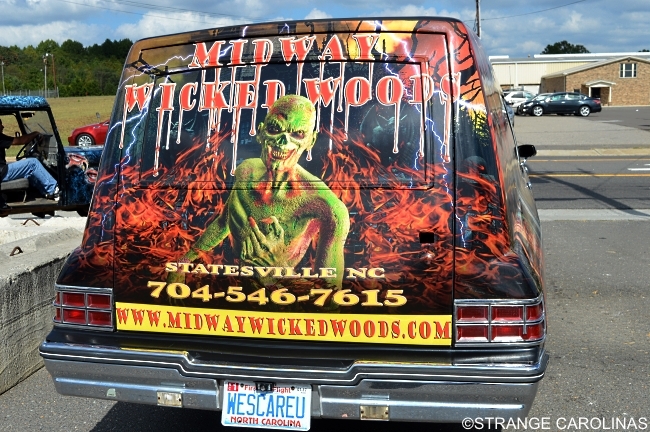 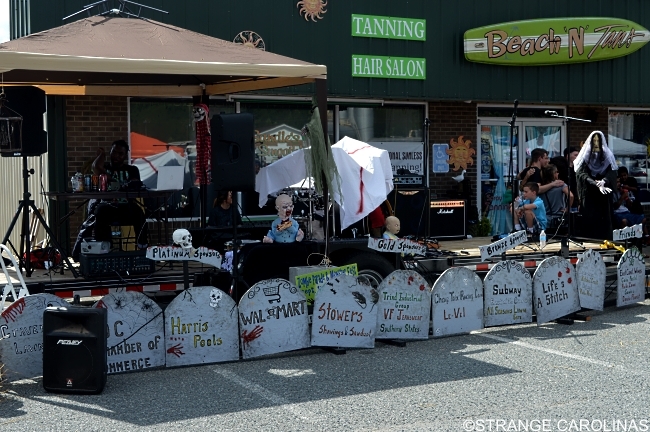 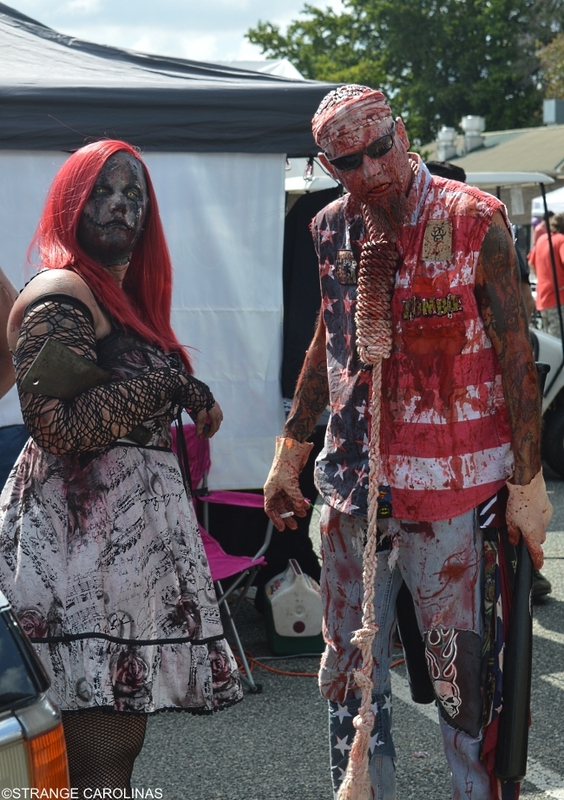 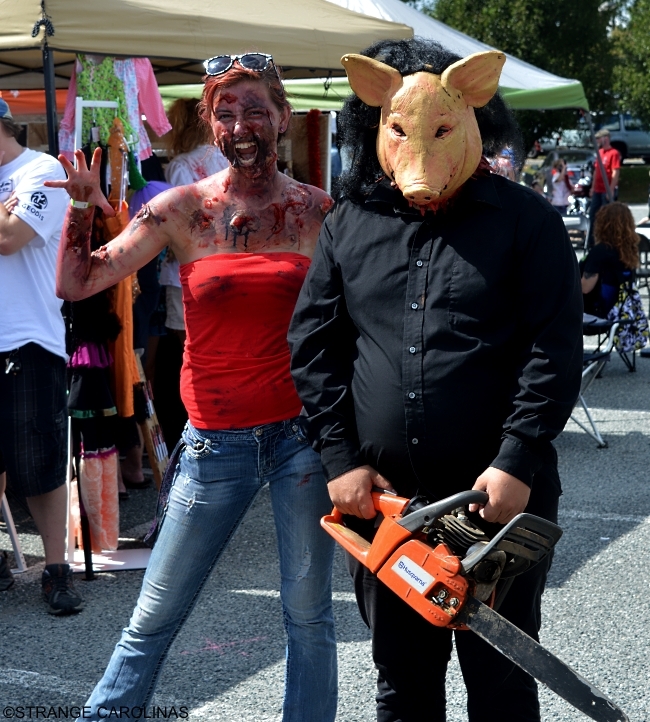 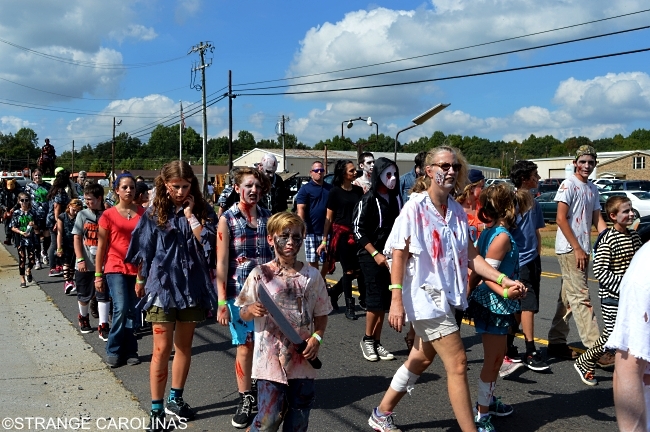 This past weekend, we headed down to Mocksville for the 2nd Annual Davie County Zombie Parade & Monster Fest, a charity event that benefits Milling Manor, a local nonprofit that provides services to adult females with intellectual disabilities. 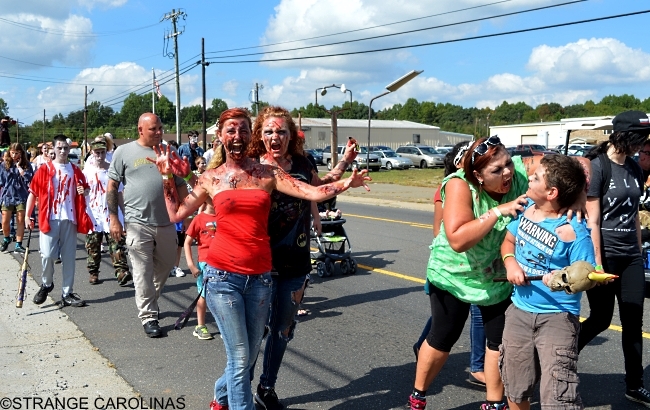 Hosted and created by Mike and Sandy DePuew of Beach N Tans, the Davie County Zombie Parade & Monster Fest featured the Carolina Coffin Cruisers, Forbidden Forest Horror Trail, Wicked Woods, Wilkes County Response Team, Rowan County NC Zombie Outbreak Response Team, Digger The Zombie, Zombie Runner, and more, along with food, drink, and music. 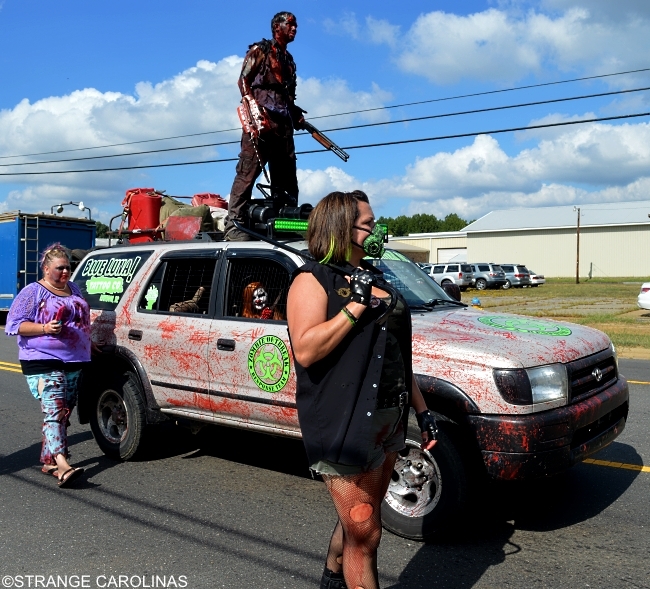 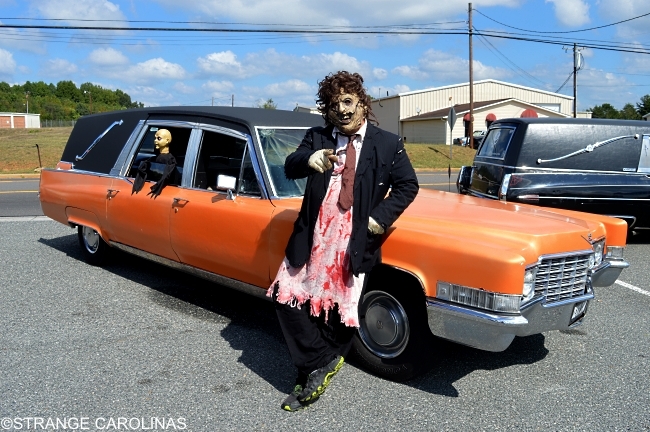 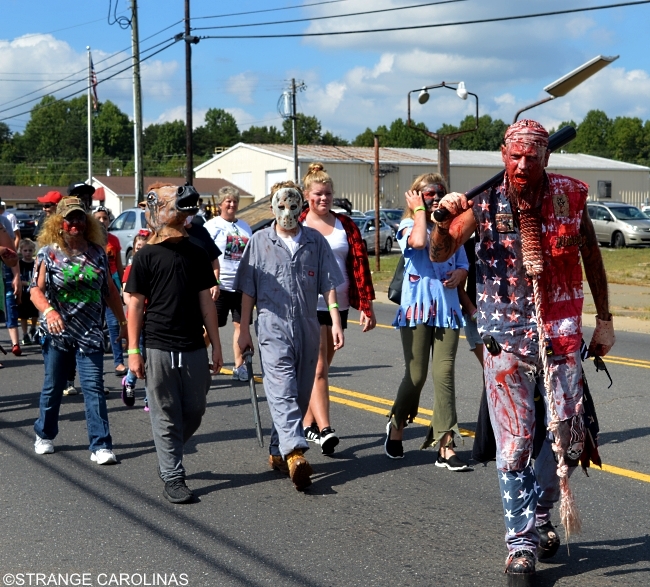 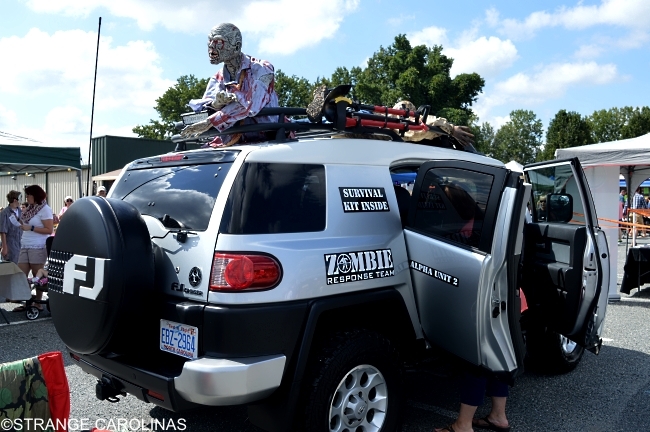 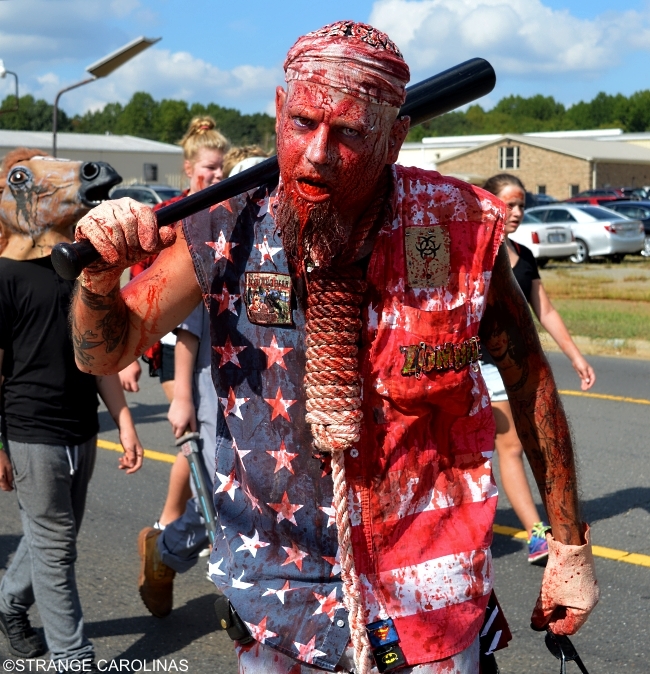 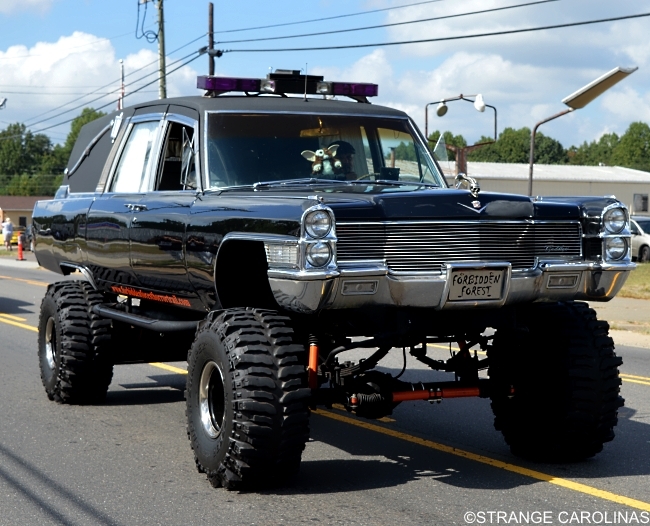 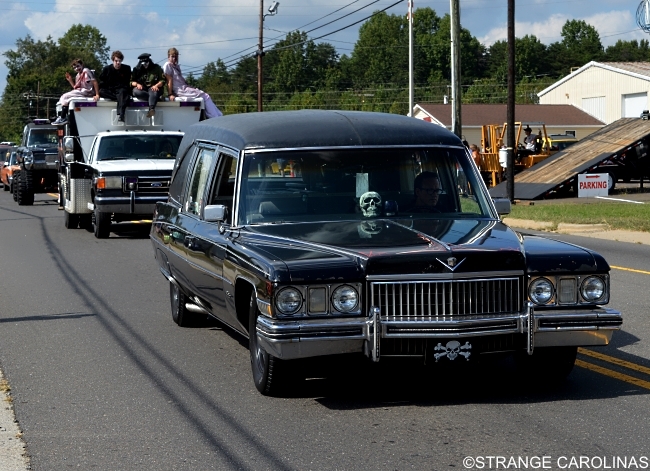 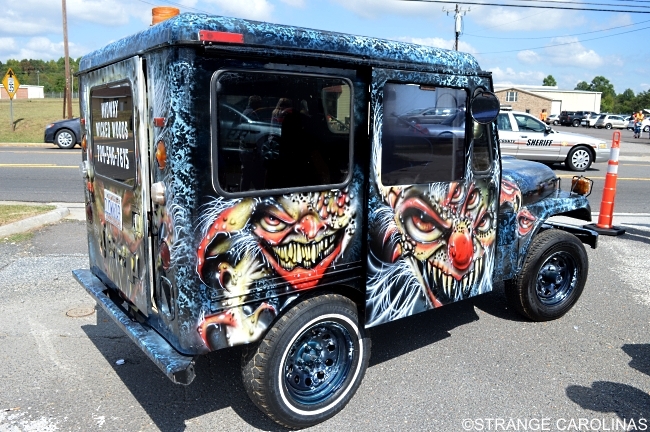 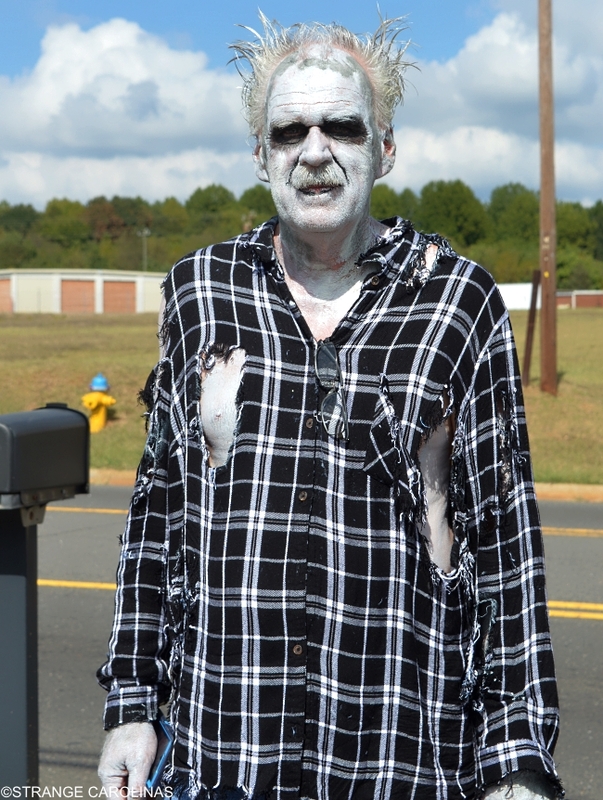 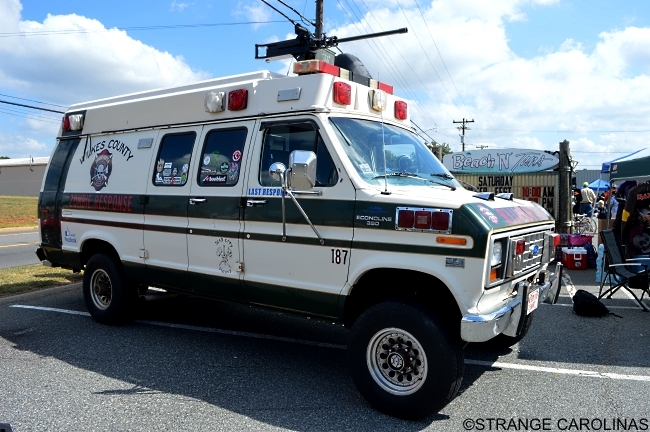 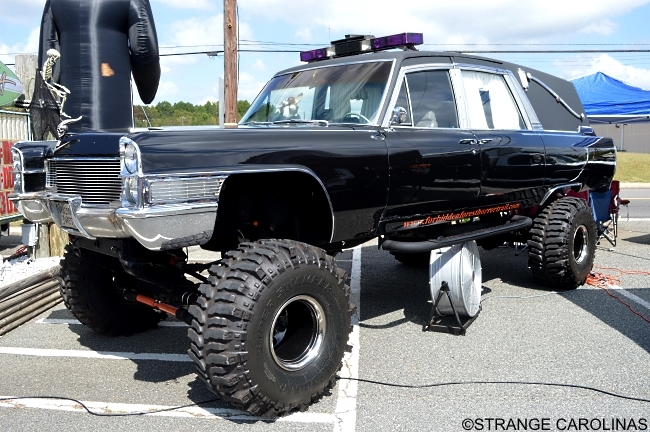 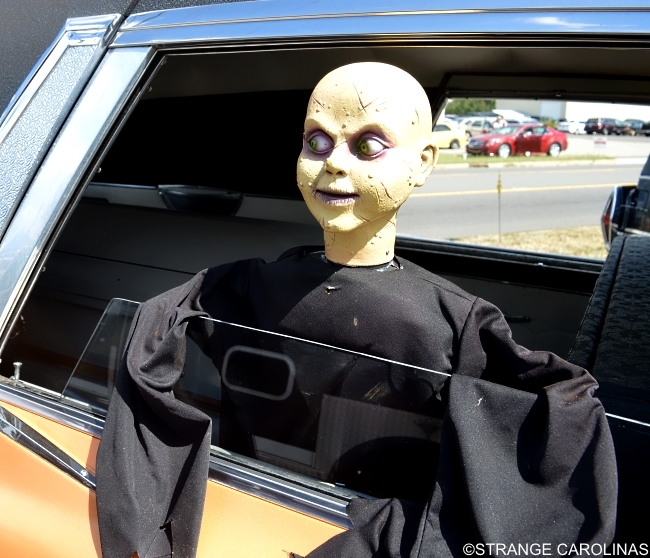 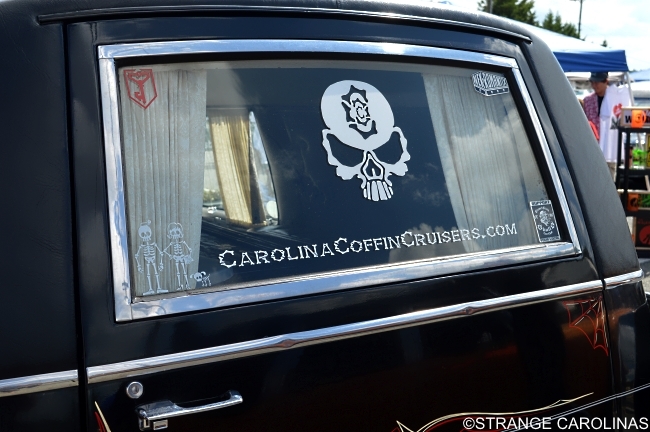 But for us, the highlight of the event was seeing the police stop traffic on Highway 601 so that a fleet of hearses and a large group of zombies could amble through town. 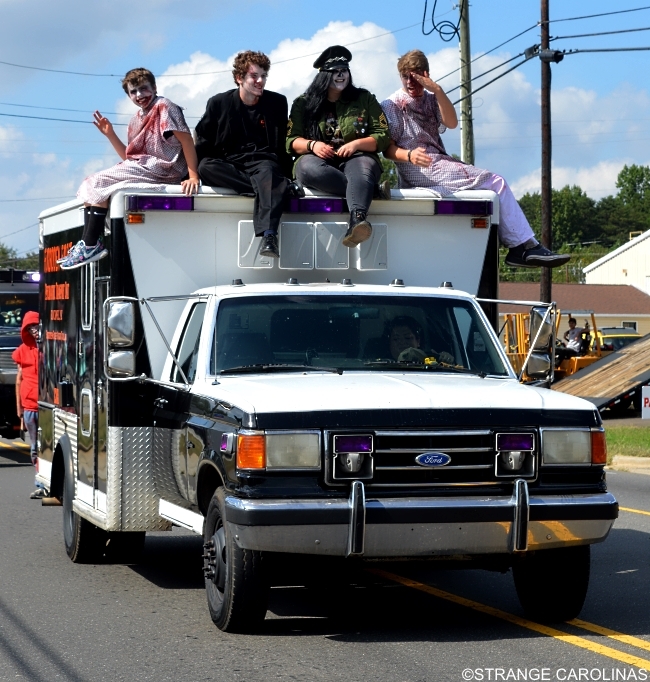 Check out our pics below!